Man, trust this show to make me misty eyed over a two part storyline that I initially wasn’t too happy about. Last week I wasn’t too impressed with the Reigen-centric story, but do they ever use it to build to a powerful conclusion in this episode that put a lump in my throat. 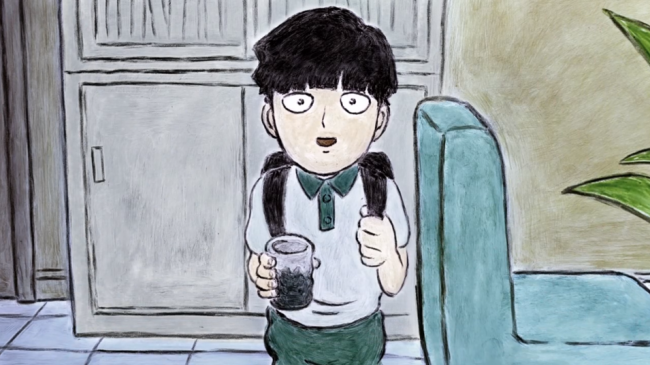 A lot of this second series thus far has been dedicated to developing Mob’s character, making him into a more well-rounded person. These two episodes dedicate themselves to Reigen; exposing the biggest flaw in his character and using it to build him into something even stronger, despite me always regarding him as a pillar of confidence and strength before now regardless. 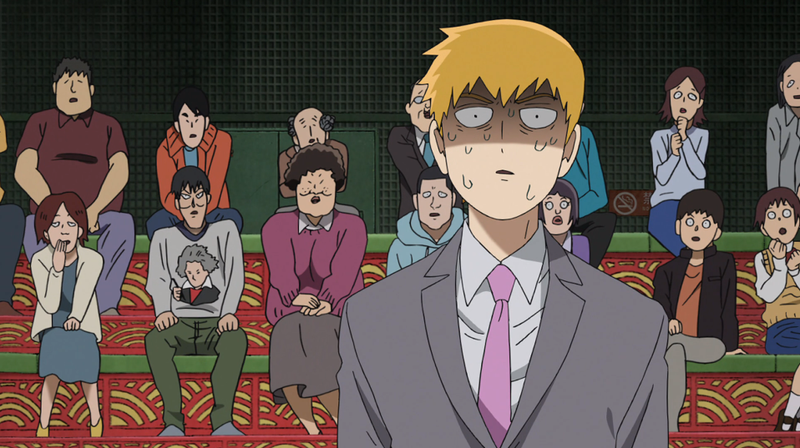 Reigen, having made a name for himself sans Mob, is appearing on a Television show, unknowingly being set up to fail. Using his most powerful weapons of logic and common sense, Reign (correctly) deduces that a possessed child brought onto set is an actor, to put a show on for the sake of the audience. He decides to play along, expecting the kid to snap out of it after he throws some salt around, he goes about using all of his “special moves” (except that knee strike). For the first time in the series, the tables are really turned around on Reigen. His “exorcisms” failing, the real psychic announces that the kid is acting to the audience and not really possessed at all. 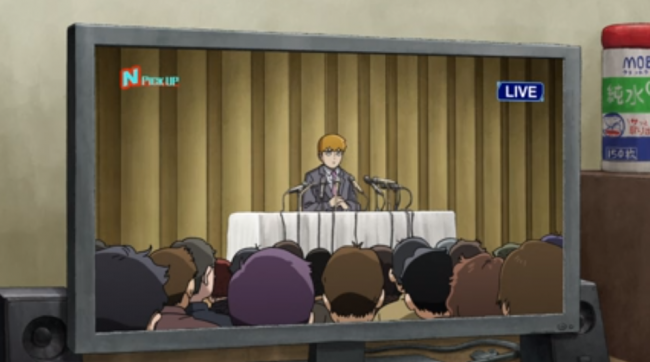 Unable to explain himself, Reigen is revealed as a fraud to the world. A trap executed so completely that he is utterly unable to mount any kind of defence for himself, thus he becomes a national laughing stock. The world seen through both social and traditional media begin to rally against him. Even the people from previous episodes that he had genuinely helped, either through the placebo effect when it was in their heads, or with Mob’s assistance when it wasn’t begin to add to the fire. He is accosted by the media outside his own home, who convince him to hold a press conference. One in which he seemingly plans to throw in the towel and apologise for everything. But when the conference begins, something in him snaps, and he seemingly changes his mind at the last minute, biting back at the media who seem to want to tear him down. Because, technically, Reigen has helped a lot of people and probably doesn’t deserve the crappy treatment he has been getting from the mob mentality. Just because he has technically being lying to everyone, a lot of people’s lives still improved as a direct result. It’s when his own history is brought up that he takes pause, and we see a flashback. One that shows how Reigen was planning on giving on his psychic business when a little Mob came knocking on his door. Isolated and afraid, Reigen was initially reluctant to give the kid the time of day, but decided to tell him something just to make him feel better. Look at the bebi Mob! Which is where we learn the real basis for his and Mob’s relationship, how Reigen told Mob that being psychic doesn’t need to define him. That it’s simply a single aspect of his personality that make up his whole as a person, summing it up by telling Mob that, above all else, he just needs to work to be a good person. Looking back, Reigen now realises the hypocrisy in what he said. As he ended up keeping Mob around after that day to help himself become a “somebody”. Manipulating the boy towards his own purposes, and look where it got him. Thus, in a truly unselfish act, he looks into the camera and praises Mob for how much he’s grown since they met. Mob, who apparently was watching in some form, causes a huge telekinetic distraction in the room at this. 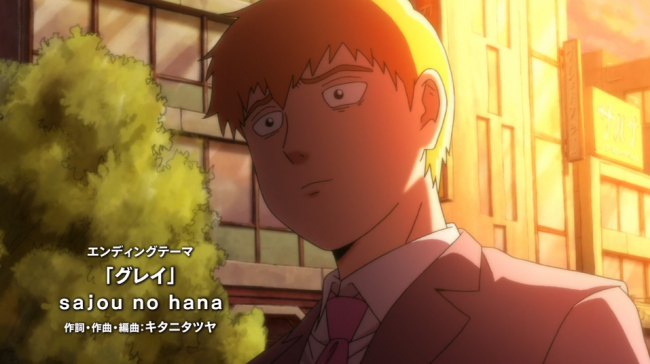 One which allows Reigen to simply walk out, leaving the public’s perception of him ambiguous as to whether he was causing this phenomena or not. Thus we arrive as the best part of the episode. As Reigen bumps into Mob outside, all my trepidation about this story melts away. Reigen apologises to Mob asking him if he always knew he was a fraud. To which Mob replies that he always knew… that Reigen was a genuinely good guy. It got me, it got me good. Despite his questionable behaviour, it’s always been apparent that Reigen trusts and respects Mob. Maybe he just never realised it. The character work and development in this second series of Mob Psycho 100 has been stellar. Giving both of its main characters development, executed brilliantly. From a guy who wrote and drew that One Punch Man webcomic, I am amazed at how this show gets better and better without having to rely on action at all. I adore this show more every week, and I don’t mind at all that the hyper anime battles take a back seat to do it. 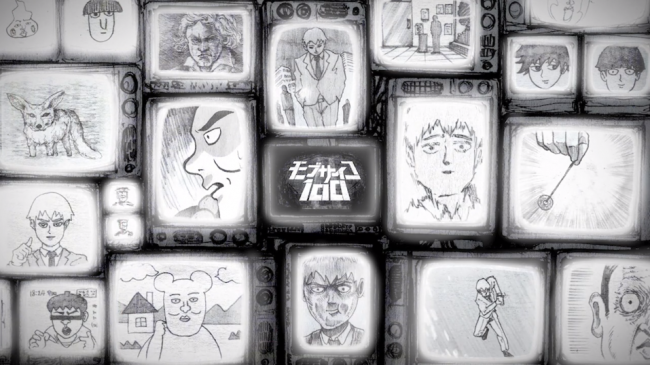 Posted on February 21, 2019 February 21, 2019 by WooderonPosted in Anime, Condensed Reviews:Tagged Cornered ~True Identity~, Episode 7, feels, mob, Mob Psycho 100, one, Reigen.